Riptide 105 Fast Sink is a long casting heavily weighted, but small and very strong stickbait. Designed as a subtle presentation for big fish, it is through wired for strength and fitted with extra strong trebles. It is ideal for shore casting or long casting from boats. Ideal for species like Striped Bass, tuna, yellowtail, Tarpon, mahi mahi, kingfish, roosterfish and a huge variety of other species. Gorilla Through Wire system for Ultimate Strength and fitted with super strong inline single hooks. 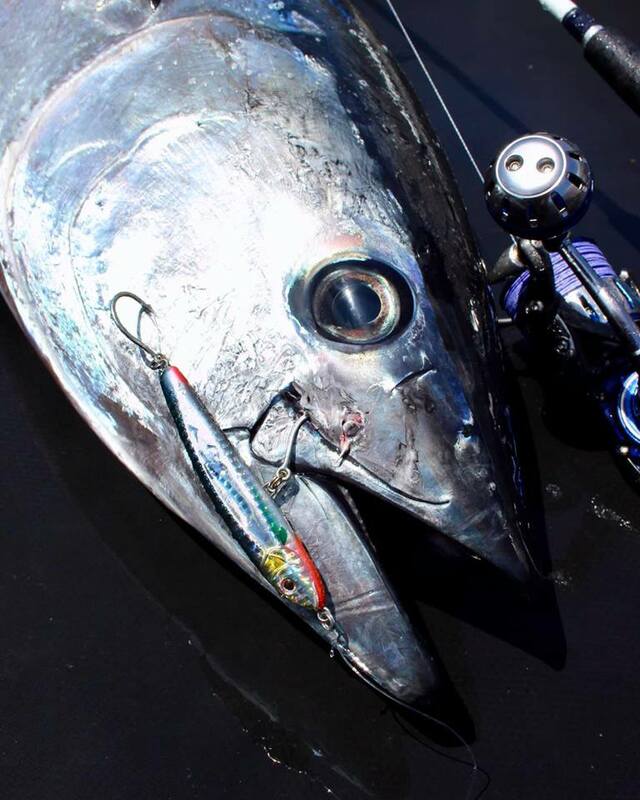 Ideal when casting for Tuna, Striped Bass and Yellowtail. Comes Rigged with 2 x Inline Single Hooks - Colour Swatches shown without Hooks. Click the button below to add the Nomad Riptide Fast Sinking Casting Lures to your wish list.